Minecraft is a popular video game that allows players to interact with a 3D environment. Users report that it is easy to learn and understand, is engaging and immersive, and is adaptable. Outside North America it has been piloted for urban planning public consultation processes. However, this game has not yet been studied to determine how and whether it could be used for this purpose. Using key informant interviews, this study asked practicing urban planners to assess Minecraft's potential. Key findings address Minecraft's usefulness as a visualization tool, its role in building public trust in local planning processes, the place of play in planning, and the challenges associated with its use in public consultation. The paper concludes with reflections as to how this game could effectively be used for public consultation, and offers key lessons for urban planners whose practice intersects with our digitally-enabled world. 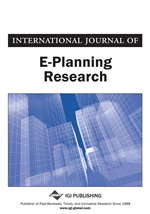 Public calls to improve the effectiveness and inclusiveness of urban planning processes in North America began in the 1950s and 60s when members of the public argued that the planning process was undemocratic and that commonly used consultation methods failed to direct urban planning in a way that would serve their needs. Many planning scholars agreed. Particularly influential was Sherry Arnstein’s 1969 critique, in which she introduced the “ladder of participation.” Arnstein’s distinction between differing degrees of public involvement drew attention to the routine disconnection between public consultation and decision-making processes, and went on to inform countless discussions about how planning, as a profession, might better work with its public (Lane 2005).